The first snow of winter just dusted the mountains out my window with beautiful powdered sugar like snow. The winter months bring me so much joy and happiness. The holiday season seems to bring out the best in those all around, and even those who do not celebrate Christmas, exude the Christmas spirit wherever they go. Although I will happily make myself a cup of chocolate milk anytime of the year, something about the winter makes hot chocolate a tad bit more enjoyable, if that is even possible. Isn’t it just the most wonderful time driving out to the country to chop down the perfect Christmas tree, tying it to the roof of the car, and blasting Christmas music while decorating the Christmas tree with hot chocolate in hand? 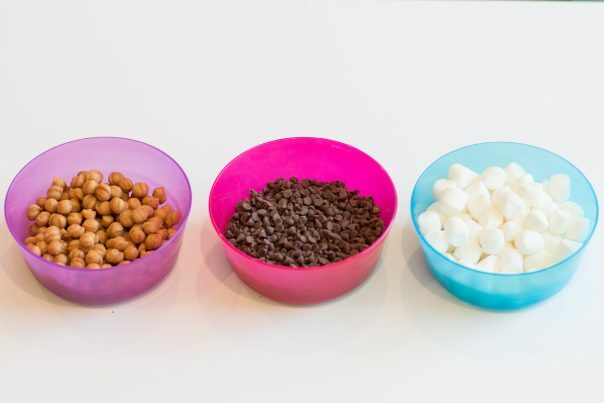 Step 1: Melt your chocolate chips in the microwave, or over a double boiler. For chocolates, you will use a 2:1 ratio, two parts chocolate to one part cream. For added flavor, you can replace the cream with coffee creamer. 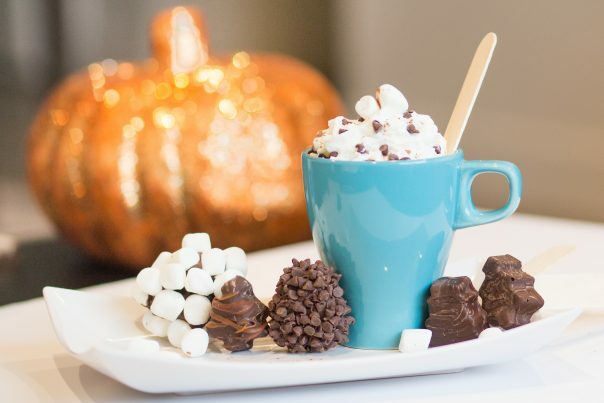 There are tons of holiday flavors out that will taste amazing in hot chocolate. Step 2: Pour the melted chocolate into your molds of choice. Let the chocolate set up for around 5 minutes (depending on the temperature) before adding the popsicle sticks. 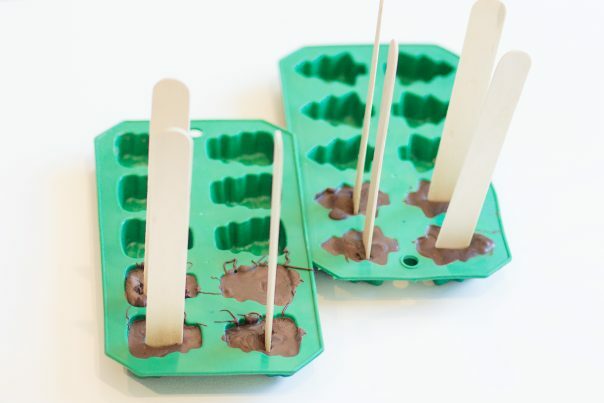 Once you’ve inserted the popsicle sticks, let your chocolate pops set up in the refrigerator for a few hours until completely set. Step 3: Once your chocolate pops have completely hardened, melt about a 1/4 cup of chocolate chips and add to a small container. 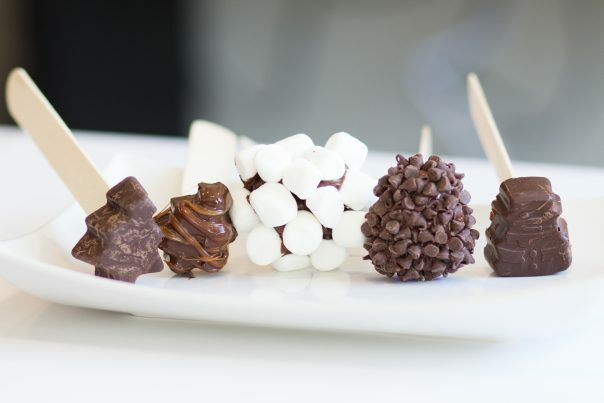 Dip the chocolate pops into the melted chocolate, and then dip them in your desired topping. I tried a few out with marshmallows, mini chocolate chips, and I also melted caramels to drizzle on top. 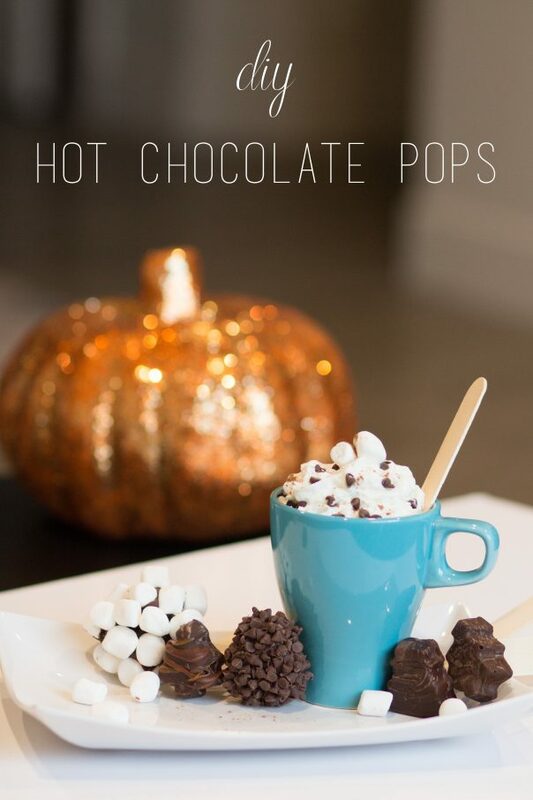 Step 4: Stir your chocolate pops into hot milk or water and watch as they melt into delicious hot chocolate delights!